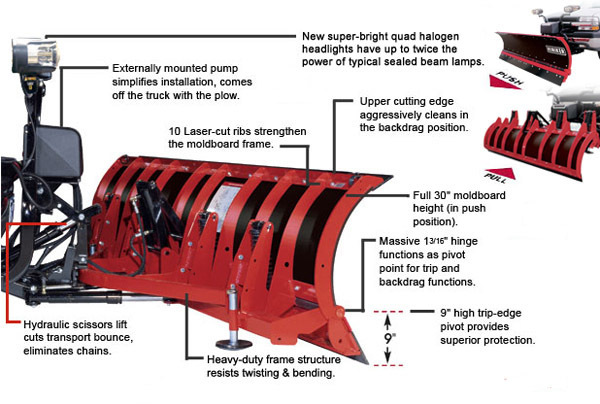 The Hiniker 8000 Series C-Plow snowplow offers all of the heavy-duty performance of the 7000 Series conventional plow plus the added versatility of a high-performance backdrag plow. Plow loading docks, residential driveways, and congested parking areas faster than ever. 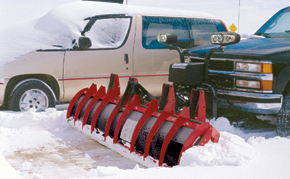 The patented Hiniker C-Plow blade actually converts from a conventional plow into a backdrag plow with the push of a button, letting you remove snow quickly and easily from garage aprons, curbs, loading docks, and tight corners. Then touch a button again to flip the blade upright and push the snow away.